Think about it. What would your family do in the event of your death? Would they be able to pay their bills? What about your children’s education – will they still be able to go to college? Life insurance isn’t for you, it’s for your beneficiaries, the loved ones you left behind. A good life insurance plan will enable you to continue to provide for your family and loved ones even if after you’re gone. AIS provides affordable individual life insurance policies to its customers. We’re an independent insurance company which means we can shop around a get you the best coverage at the lowest prices. Life insurance is a contract made with an insurance company: you pay the regular premiums on your life insurance plan; in return the insurance company promises to provide for your beneficiaries in the event of your passing. This payment is called a death settlement. The amount you pay on your premium is based on factors such as your age, medical history, gender and the type and dollar amount of the life insurance policy you purchase. In the event of your passing, your life insurance plan provides money directly to your beneficiaries. Term insurance – the most affordable type of life insurance; it pays an one-time death benefit based on how much your premium payments are and how many payments you make over a specified period of time. Permanent life insurance – such as whole life, universal life, and variable universal life insurance plans, which guarantee coverage at fixed premiums for the lifetime of the policy holder as long as the policy is not allowed to lapse. These plans are more expensive, but provide higher death settlements for your beneficiaries. Give your loved ones with financial security after you’re gone. Don’t know how much life insurance you need? No problem. Let AIS help you develop a life insurance plan that adequately provides for your beneficiaries. We’ll be able determine how much life insurance you may need by calculating your replacement income needs – how much money your family will need for a specific period after your death. 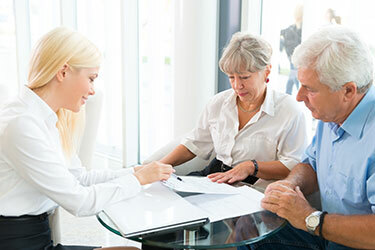 We’ll work with you to formulate a plan that will give your family and loved one the financial security they deserve. Contact us for more information about our life insurance plans for individuals.